Obituary for Isabel "Betty" (Bernardo) Almeida | George C. Lima Funeral Home, Inc.
Isabel “Betty” (Bernardo) Almeida, 89, of King Philip Avenue passed away on November 15, 2018 at home. She was the wife of George V. Almeida. Born in Bristol, she was the daughter of the late Julio and Mary (Medeiros) Bernardo. In addition to her husband she is survived by her children George S. Almeida of Bristol and Karen Ann Almeida of Bristol; grandchildren Cheri Almeida and her wife Laura, George “Jr” Almeida and his wife Sheri and great grandson Rowan Almeida. She was the sister of the late John Bernardo. Mrs. Almeida was educated in Bristol and employed by Converse for 25 years. 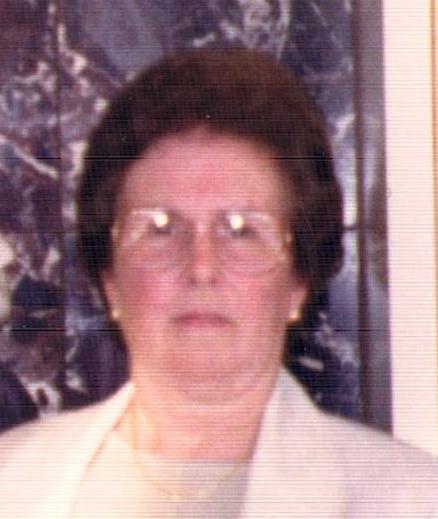 She then worked at Crestwood Nursing Home as the Social Director for 5 years before retiring. Her funeral services will be held Monday, November 19th, 8 AM from the George Lima Funeral Home 367 High Street with a Mass of Christian Burial, 9 AM at St. Elizabeth’s Church 577 Wood Street. Burial will follow in St. Mary’s Cemetery. Friends and family are invited to attend a gathering following the services at 30 Cedar Drive, Bristol .